After spending a few days in Saint Tropez, Cristiano Ronaldo and Irina Shayk moved on to Thailand, as they look to extend their holidays season, away from the paparazzi. This time, the couple traveled alone, leaving Cristiano Ronaldo Jr. at his grandmother's care and once again seem to be proving that their relationship is steady and firm as a rock. Over the last days, Cristiano Ronaldo and his girlfriend Irina Shayk, have been enjoying some time alone in a luxury resort, in Phuket, Thailand. The couple is together for roughly 2 years and it seems now clear to everyone that they look happy than ever, contradicting those rumors of a potential break-up, now gone and forgotten. Set to return to Real Madrid trainings on July 28, Ronaldo still has close to 2 weeks of vacations ahead of him, before joining his teammates and start preparing the new 2012/13 season. 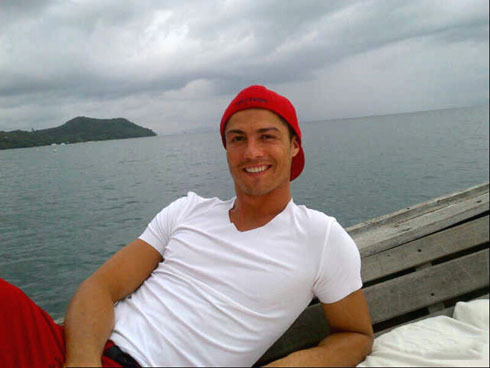 Right after Portugal ended its participation on this summer's EURO 2012, Cristiano Ronaldo took his son, Irina Shayk as well as several family members and friends, and they all went to Saint Tropez, in France. That trip was clearly prone to provide some good family moments, since Ronaldo and Irina were barely left alone on any occasion. Following that week at the French Riviera, the couple traveled alone to Phuket, in Thailand, in what has necessarily to be seen as a more private and romantic trip. 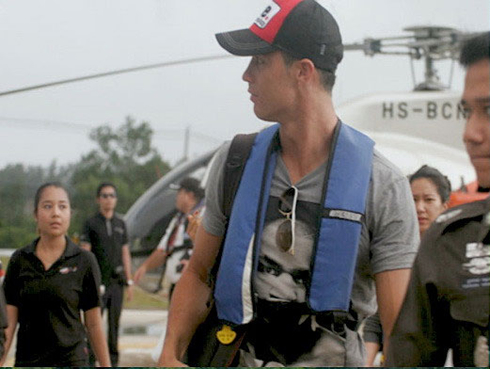 Ronaldo and Irina's arrival to Thailand has naturally raised many attention on the local media and that was one of the reasons why the couple picked a luxury resort that would allow them to enjoy some private moments, away from the cameras. 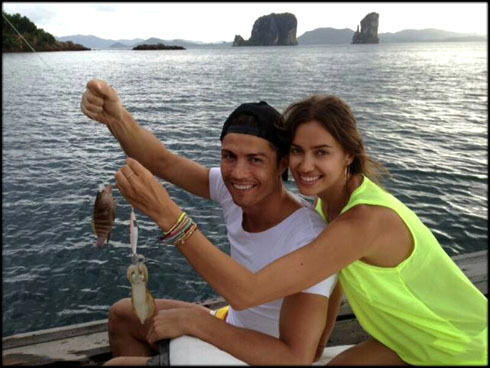 Most of the photos available so far from this Ronaldo's stay in Thailand have been posted by Ronaldo himself, including a photo where the Portuguese star poses with Irina Shayk and an unknown Thai family. On a curious note, this was actually the first photo posted by Cristiano Ronaldo on any social network (Facebook/Twitter), where both him and Irina Shayk appear together. The Portuguese player and the Russian model fairytale dating, started back in May 2010 and spending the holidays together has become an habit ever since, even though they both have a fullfilled agenda throughout the year, due to the nature of their jobs. 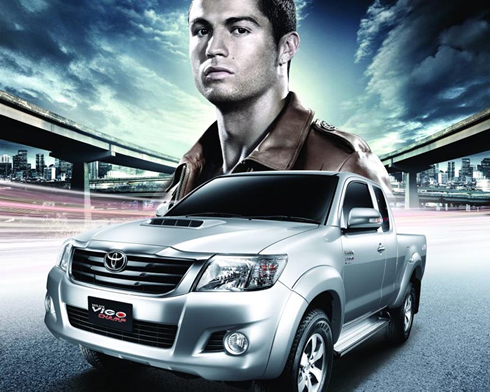 Nonetheless and despite being on vacations, Ronaldo never discards a good chance to close a business deal. 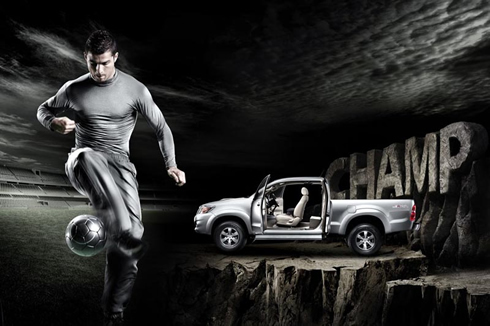 While in Thailand, the Real Madrid and Portuguese iconic player is expected to star in an advertisement spot for Toyota, in order to present the Japanese brand's new car, the Toyota Hilux Vigo Champ. Real Madrid will begin their pre-season trainings this Monday, the 16th of July. Cristiano Ronaldo is expected to join his teammates later this month, on the 28th of July, since he was granted a few more days of vacations after representing Portugal in the EURO 2012 later stages. Cristiano Ronaldo will miss at least the first two pre-season games, including the first on July 24, between Real Oviedo vs Real Madrid, which you can watch from our football live streams section.